3DZ participates in Technology Hub 2017, an event dedicated to the most innovative technologies. Milano – from April 20 to 22. 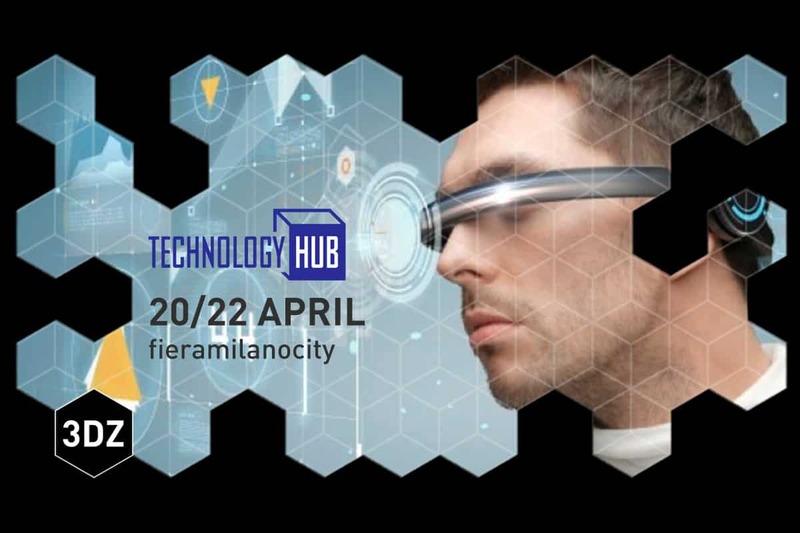 Technology Hub is a professional exhibition focused on innovative technologies that, from April 20th to 22nd, will open its doors for the second edition. A fair where to discover innovative products, sophisticated technologies and create new business opportunities for your company. Come and discover all the latest products in the various demonstration areas, special events, conferences and workshops. 3DZ brings in its booths of Technology Hub 2017 all the latest news from the world of three-dimensional printing and scanning from 3D Systems 3D Artec, Formlabs, German RepRap and Materialise. Do not miss the opportunity to discover the technologies, materials and applications of the production technique that is revolutionizing the manufacturing processes of companies worldwide. During the event participants will be given the possibility to join the seminars held by 3DZ. On this occasion we will focus on specific topics introducing the 3D printing technologies, the materials and the applications that match specific needs. Participation is FREE, but a registration is required (tickets available SOON).